MathBits.com is devoted to offering fun, yet challenging, lessons and activities in secondary (and college level) mathematics and computer programming for students and teachers. Algebrahelp.com is a collection of lessons, calculators, and worksheets created to assist students and teachers of algebra. This archive is designed as a resource for enriching your math courses and nurturing your interest and talent in mathematics! This site has lots of great resources including over 60 teacher made videos. GeoGebra is a free mathematics application for learning and teaching about algebra. The tool includes a whole host of interactive graphics dealing with algebra and they can be used from Elementary - Graduate school levels. Illuminations is a tremendous collection of math activities for teachers to implement in the classroom or for students to explore on their own. Math 24-7 (MathCasts.org) is a very simple site with a good number of screencasts that deal with math concepts. The site features mathcasts that focus on math skills for many levels (including a large number of embedded VoiceThreads and LiveScribe PenCasts). 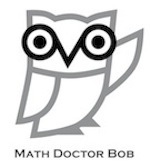 "Dr. Bob" has created a selection of videos categorized by class and standard. Wolfram Alpha is a computational search engine that provides answers to queries rather than webpages that may contain answers. Virtual Nerd is a website filled with aligned tutorial videos to help students better understand math concepts taught in middle and high school. This one was recommended by a student at our high school and has been used many times over by teachers and students alike. Brightstorm's Youtube channel has a number of free videos on a variety of topics. Khan Academy has a tremendous amount of video based resources.